The Canadian carrier, WestJet today announced it has expanded its codeshare relationship with Qantas by placing its WS code and flight numbers on Qantas-operated flights between Los Angeles and Sydney, Melbourne and Brisbane. "Canada's favourite airline, WestJet, welcomes this deepened relationship with Qantas," said Brian Znotins, WestJet Vice-President, Network Planning and Alliances. "Expanding our partnership with Qantas provides our guests greater global travel options and aligns with the new premium products and services WestJet is developing as we continue our evolution to a global network airline." 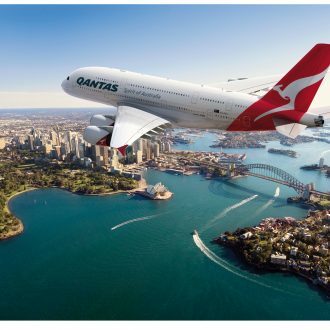 "The expansion of our codeshare relationship with WestJet will give Canadian travellers more options to visit Australia than ever before," said Stephen Thompson, Senior Executive Vice-President, The Americas, Qantas. "We offer more non-stop flights between North America and Australia than any other airline and have Australia's largest domestic network with connecting services to more than 60 destinations across Australia and New Zealand. Our customers tell us they feel their Australian holiday starts the moment they step onboard a Qantas flight, with our award-winning Australian food and wine selection and the warm Aussie hospitality our crew provide."